This is a true story - I overheard two ladies at the grocery store over the weekend. They were discussing a diamond earring one of them received for Valentine's day. "I am not sure where he bought it, but I hope he got a good deal." "I'd take french doors for my kitchen over diamonds anyday." " (laughter) You just want your French doors and make your kitchen pretty." "Yes, I just really want the doors!" How about that? French doors for her kitchen was all she wanted. Finding a right door for your home can be an enjoyable process with Feather River Door's latest Door Builder and Price Solution. In addition to visualizing and choosing different door styles and design, you can select through options and paint colors as well. As you browse, you'll know the cost of each component of your door. 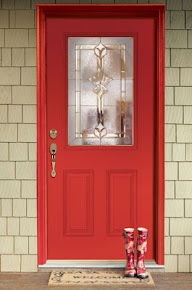 When you're finished, you'll have the pricing and specific details to order your door with The Home Depot associate. 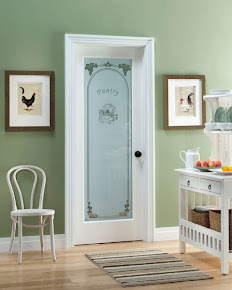 It is a step towards easier way to find the right door for your home. 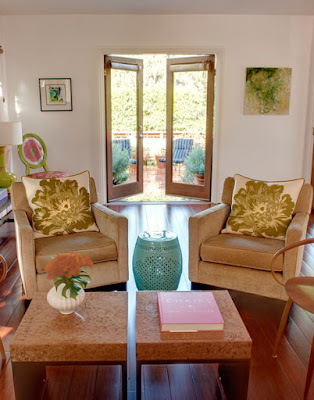 [images from design sponge] Having a fabulous patio (and patio door) makes it that much harder to wait for Spring. How wonderful does that patio look? 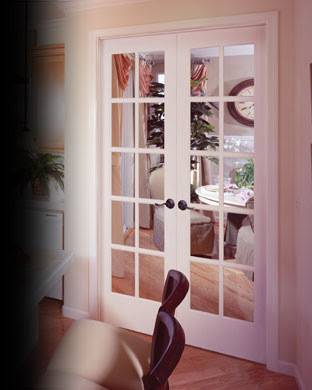 Take a look at the patio door builder to browse our selections. 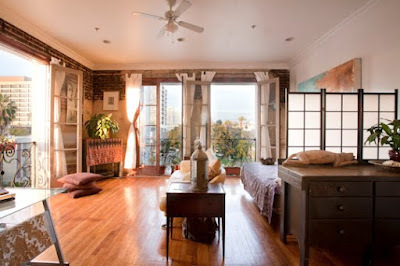 French doors open up space like no other. They are classy and sophisticated adding a touch of quality to almost any home style. 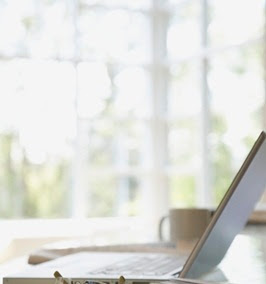 They can increase the value of your home by simply being there. Oh... and they let in more natural light. What is not to love about French doors?